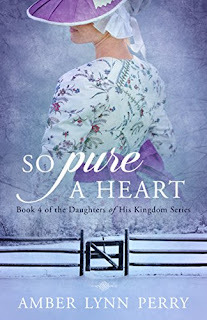 So Pure a Heart is book four from Amber Lynn Perry's Daughters of His Kingdom series. In this installment, once a couple, Joseph and Hannah meet up again and find themselves working together as spies for the Patriots during the Revolutionary War. I found this book to be rich in historical detail, full of intrigue, suspense, danger, faith, love, and action. Of course, I love this book! What more does a reader want in a novel? 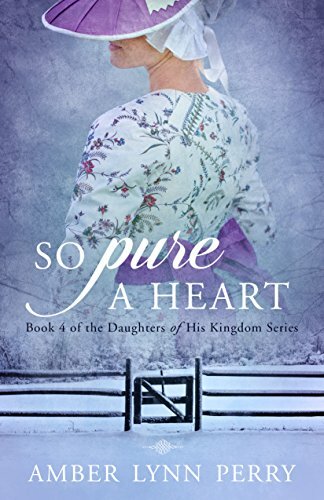 So Pure a Heart reminds me once again why Amber Lynn Perry is among my favorite authors. If a reader loves writings by Laura Frantz, Jody Hedlund, and MaryLu Tyndall, then they will love this book and series. Highly highly recommended.